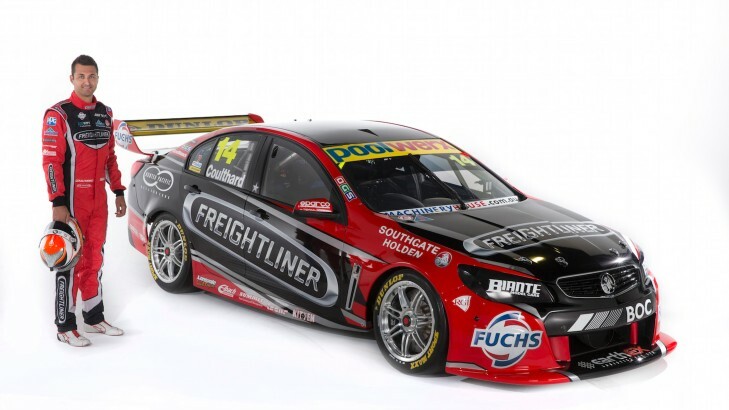 Brad Jones Racing has unveiled the Freightliner Racing VF Commodore that Fabian Coulthard will use to contestthe 2015 V8 Supercars Championship. The #14 Holden was unveiled at the Daimler Truck and Bus headquarters in Melbourne tonight and will hit the track for the first time with the new name and livery at the 2015 sydney.com V8SuperTestat Sydney Motorsport Park on February 7-8. The car will conclude its three successful seasons with Lockwood sponsorship at the Sydney NRMA 500next weekend. After a strong Championship showing this season, sixth-placed Coulthard is positive he will be in the hunt for the title in 2015. "As long as we can build on this year we're definitely a Championship contender next season - I think we're in with a real shot," he said. "It's exciting. Freightliner is a highly reputable brand and people can relate to it. I'm particularly looking forward to building relationships with everyone at Freightliner. It's great to have something fresh. 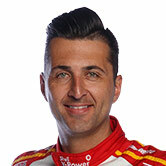 "I'm expecting another good season and getting the brand more recognised than ever in V8 Supercars." The Freightliner Racing naming rights sponsorship will run for a minimum of three years, with Managing Director of Daimler Truck & Bus in Australia Daniel Whitehead sure the Commodore will stand out in the field. Whitehead was also positive about what next year's TV coverage would mean for exposure ofthe Freightliner brand. "There are strong parallels between the V8 Supercar audience and Freightliner trucks -Freightliner trucks are as traditional as the much loved Aussie V8 sedan; big and powerful that cover huge distances with ease," he said. "To be aligned with a team as professional as Brad Jones Racing, which has also surpassed a 25 year milestone in motor racing, couldn't come at a better time for our brand. "With the V8 Supercar series moving to Foxtel in 2015 as well as selected races on free-to-air television our partnership with Brad Jones Racing will firmly etch the name 'Freightliner' into the minds of the huge television audience, both nationally and globally, and the tens of thousands of enthusiasts who attend the 15 rounds of V8 Supercar races around Australia each year. "There will no mistaking the Freightliner entry, BJR have done an exceptional job with the livery of car number 14 - it looks fast even when it's standing still." BJR co-owners Brad and Kim Jones were also enthusiastic about what the coming years have in-store for the team. "With this early announcement we now have plenty of time to plan and focus on our Championship campaign," Brad said. "I'm looking forward to this combination adding significantly to our trophy collection ... it's great to have an iconic brand like Freightliner as the major sponsor on car 14. It's a very exciting time for us as we move into 2015." Freightliner branding appeared on Kim's son Andrew Jones' Dunlop Series V8 Supercar at the Perth and Bathurst rounds this year.